Remains of the donkey railroad causeway on East Caicos. Salt flat at Proggin Bay, Providenciales. This foam appears naturally during windy conditions after a recent rain. For information such as currency, time zone and electrical information, see Practical Information (Know Before You Go). For more history, read History of the Turks and Caicos Islands and History of the Salt Industry in the Turks and Caicos Islands. See also: Celebrities and Famous Visitors to the Turks and Caicos. Many believe that the Turks in Turks and Caicos is derived from the Turks head cacti (melocactus intortus), a small stubby cacti capped with a spiny structure resembling a Turkish Fez hat. However, this is almost certainly not where the name came from. For many centuries previous to the 1800s, Islamic corsairs preyed on vessels in the Mediterranean and off the coasts of Europe and Africa. These raiders were often referred to as 'Turks', and the term went on to become a synonym with pirate. Early map makers combined this with a version of the Lucayan word ‘cayo hico’, meaning string of islands. Together, they served as a warning to avoid the pirate islands. 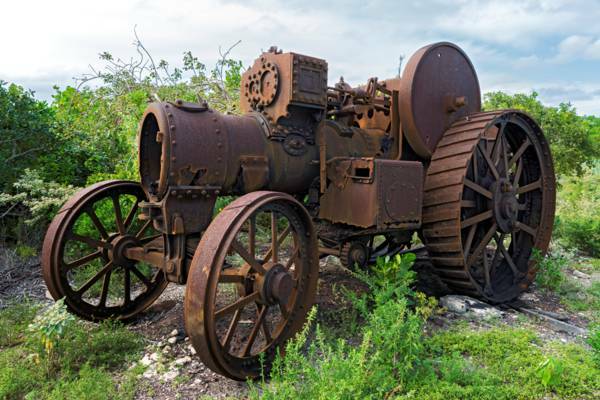 This Victorian-era Burrell Traction Engine was mistakenly sent to West Caicos (in the British West Indies), instead of a sisal plantation in British West India. What is the Highest Point in the Turks and Caicos? There are two contenders for the highest point in the Turks and Caicos; Blue Mountain on Providenciales, and Flamingo Hill on East Caicos. Both sites were determined to be 156 feet (47.5m) by the United Kingdom Directorate of Overseas Surveys. Today Blue Mountain likely has the highest point to stand on due to the remains of a small concrete pylon base, however, slight amounts of surface erosion to Blue Mountain probably leaves Flamingo Hill as the highest natural point in the country. The first known inhabitants of the Turks and Caicos islands were Tainos (also called “Lucyans”). These original settlers appear to have arrived around the year 750 AD from other islands in the Caribbean. According to famous 1900s anthropologist Theodore de Booy, East Caicos and Middle Caicos supported the largest populations of Tainos in the entire Bahamas – Turks and Caicos archipelago. 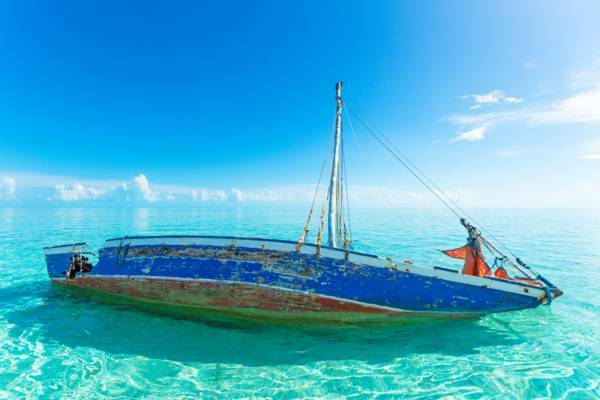 Haitian Sloop wreck in the Caicos Banks. Recent archaeological digs conducted suggest that the Frenchman’s Creek region on Providenciales may have actually have been home to the largest Taino settlement in the islands. 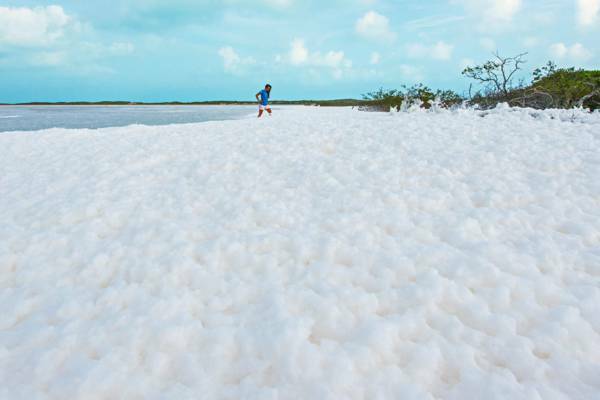 The Turks and Caicos Islands exported salt before the Europeans arrived. Many locations in the country accumulate natural sea salt. The local Tainos took advantage of this and traded gathered salt for honey, fruit and vegetables with natives from Hispaniola. When caves in the islands were excavated for bat guano, skeletal remains suggested the existence of large tortoises, giant iguanas and possibly crocodiles. These animals were probably hunted to extinction by the Taino aborigines, but also may have been introduced into the Turks and Caicos by the Tainos. The current flag of the Turks and Caicos Islands. The Turks and Caicos Islands has many underwater cave systems. A few systems such as Cottage Pond on North Caicos and The Boiling Hole on South Caicos are relatively known, but most are largely unrecognized. Initially thought to be Christopher Columbus's ship Pinta, this was later proven to be incorrect and the Molasses Reef Wreck (circa about 1513) has not been identified. Artifacts from this wreck can be seen at the National Museum on Grand Turk. Horatio Nelson, of Trafalgar Square fame, was stationed on Grand Turk, and suffered one of his few defeats attempting to retake the island from the French. On February 13 1783, the French seized Grand Turk and left a garrison. Possession was returned to Britain under the 1783 Treaty of Versailles. During the American Revolutionary War, George Washington supposedly personally requested salt from the islands due to its high quality. Due to the naval blockades by the British, there was a shortage of salt in the colonies. However, Bermudian sloops carrying salt from the Turks and Caicos ignored the blockades and the high quality salt from the islands sold for around $40 a bushel (as high as $258 per pound in 2014 dollars). 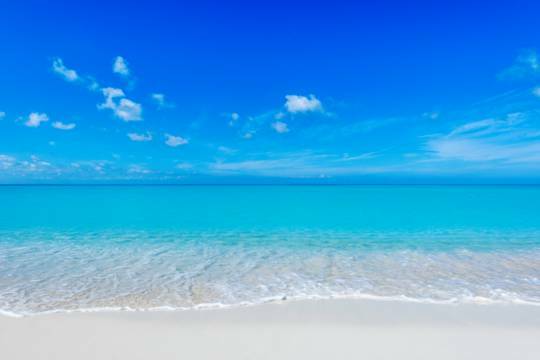 Although the islands were unpopulated, weren’t especially valued, and considering that there were few natural resources, the ownership of the Turks and Caicos was contested by the European powers at the time. 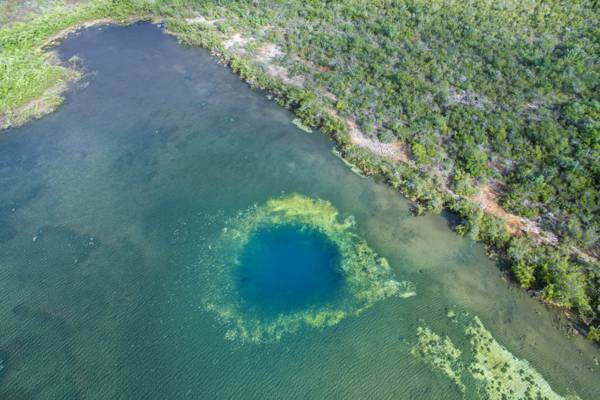 A blue hole underwater cave system at an inland saline pond in the Turks and Caicos. 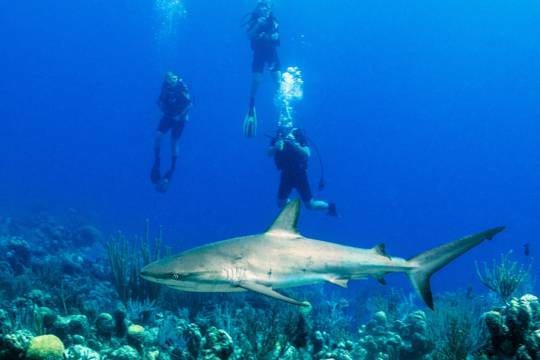 Grand Turk was the first land reached by astronaut John Glenn after the Mercury space mission in 1962. Our Flag Once Featured Igloos! 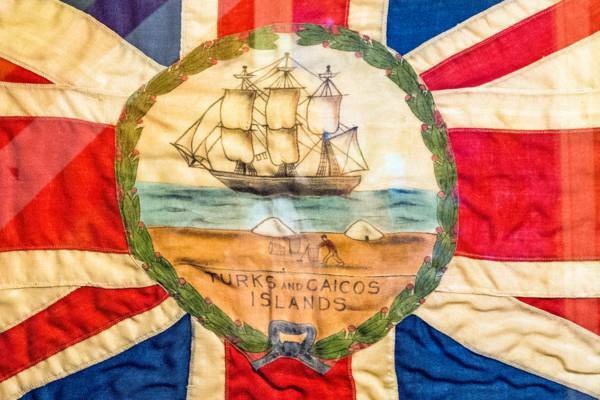 The Turks and Caicos flag once depicted an igloo! On a draft design sent from the Turks and Caicos, a map maker in England confused salt mounds with the ice structure. Applying a bit of artistic license, he added little doors! The flag design was used for about 100 years. As a very small country and a British Colony, the islands once fell under the jurisdiction of the larger territories due to the inefficiencies of a separate local government. 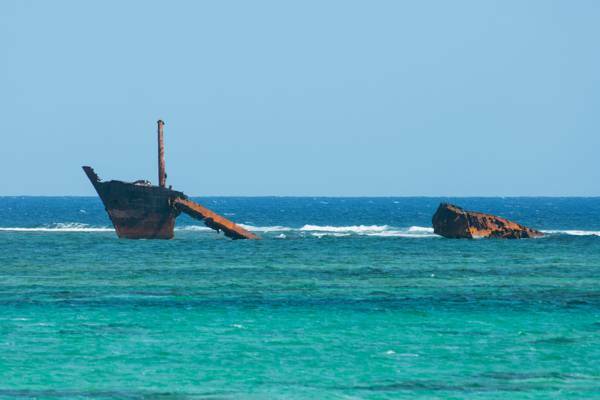 The remains of the freighter River Arc, a vessel that grounded itself on the North Caicos barrier reef after it was abandoned by international drug smugglers. 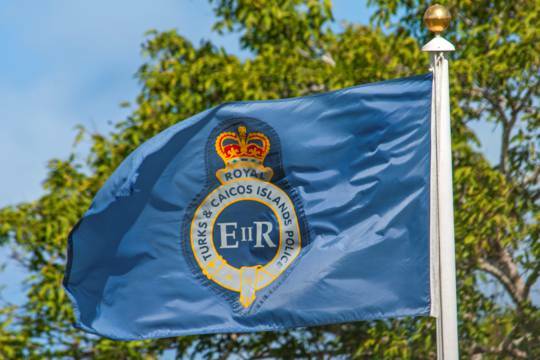 The Turks and Caicos Islands have considered joining Canada three times, in 1917, 1974, and 2004. Middle Caicos is home to Conch Bar Caves, the largest above ground cave system in the entire Bahamas – Turks and Caicos archipelago. Originally mined for bat guano, Taino Indian artifacts and skeletons of extinct animals were found during excavations in this Karst process cave. 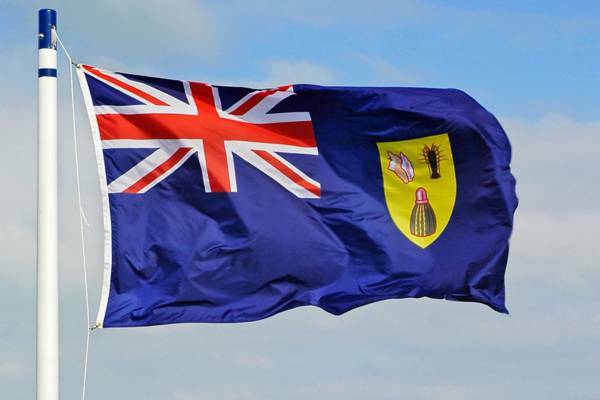 The island of East Caicos, currently uninhabited, was proposed to be a site of New Hong Kong, after the handover of that British Overseas Territory to the People’s Republic of China in 1997. This was not the only attempt at forming a quasi-independent territory in the country. In 1978, investors from Arizona tried to purchase Big Ambergris and Little Ambergris Cay for 50 million dollars with the intention of forming a sovereign state utopia, complete with unique currency and passports. Much of the local government was enthusiastic for the project, but the British Foreign Office promptly put an end to it. The Turks and Caicos Islands is home to the world's only conch farm (the Caicos Conch Farm). In the past, sponge farming took place in Chalk Sound on Providenciales, and more recently crab farming was attempted on North Caicos, but today only the conch farm still stands. 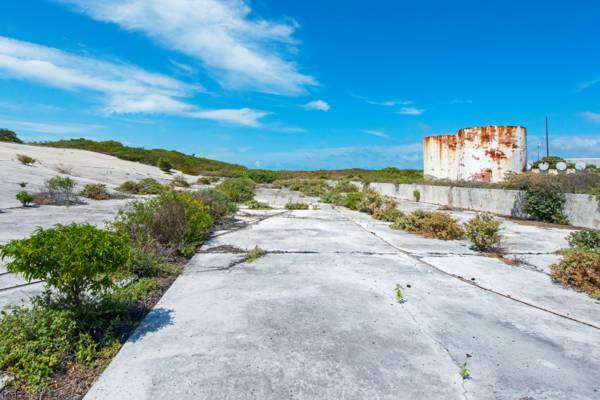 Remains of the U.S. Coastguard LORAN base on South Caicos. This station was built in the late 1950s. Before modern satellite GPS, these bases would broadcast radio navigation signals for ships and aircraft. In 1950, Salt Cay had a population of over 500, while Providenciales had a population of less than 500. 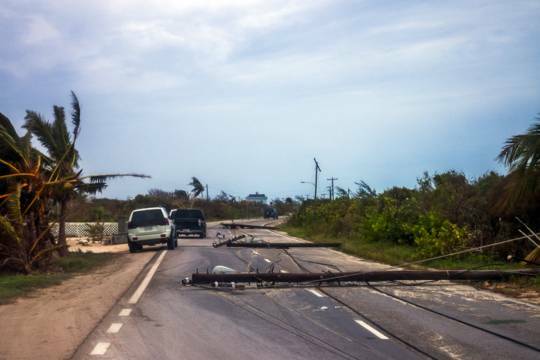 Today, less than 100 people reside on Salt Cay, whereas over 25,000 reside on Providenciales. These walls were made to split up the natural shallow ponds on Grand Turk, South Caicos and Salt Cay to allow the efficient evaporation of sea water for salt production. 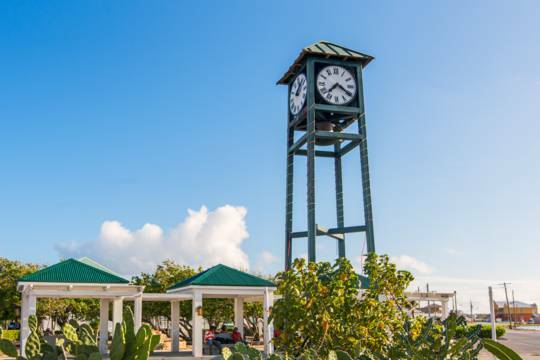 Grand Turk is one of the three most likely spots of Christopher Columbus’s first landfall in the Americas. Along with Watling Island (renamed San Salvador) and Samana Cay in the Bahamas, Gand Turk matches the vague accounts left by the crews of the historic voyage. The Caicos pygmy boa (Tropidophis greenwayi), is the smallest constricting snake in the world. 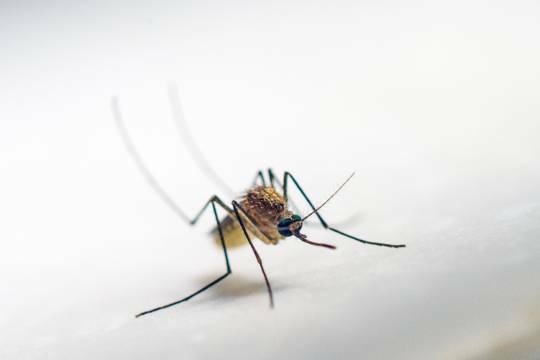 This harmless (at least to humans!) boa reaches a mature length of about one foot (30cm). Found off in the shallow Caicos Banks, the Middle Caicos Ocean Hole may be the widest blue hole in the world. The famous Great Blue Hole of Belize (often said to be the largest blue hole on the planet) is only about half the width of the Middle Caicos Ocean Hole. 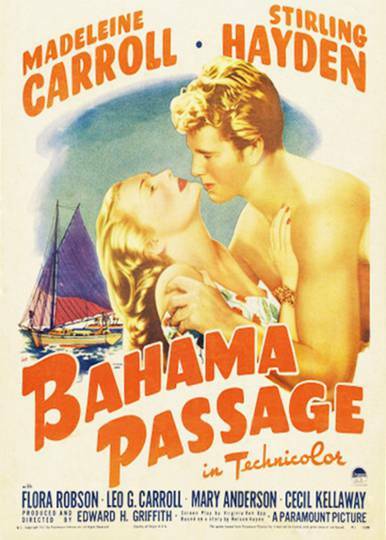 Poster for Bahama Passage (1941). 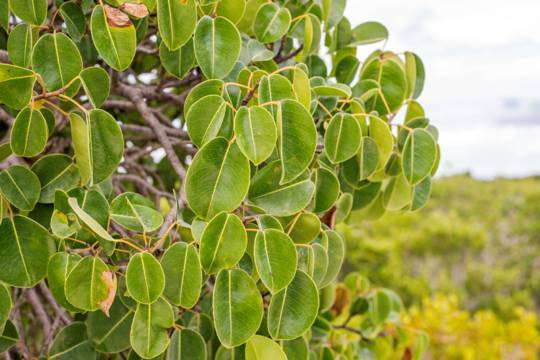 Largely due to the expansive Ramsar conservation site off the south of North Caicos, Middle Caicos and East Caicos, the Turks and Caicos Islands collectively have almost 200,000 acres (800 sq km)of protected nature reserves, national parks and historical sites. This equates to about 44% of land in the country. Several movies and television episodes have been filmed in the Turks and Caicos. 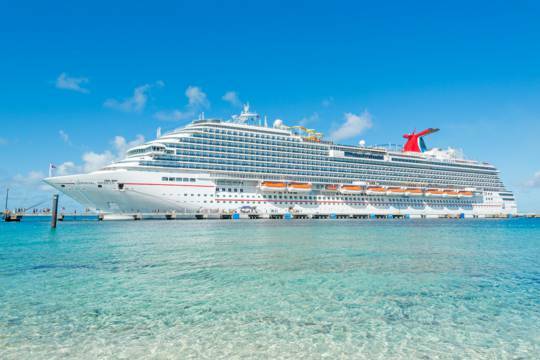 Notable examples include the Technicolor 1941 Bahama Passage (Salt Cay), the budget 2003 Paradise Virus (Grand Turk), 1990s French gameshow Le trésor de Pago Pago (a set was built at Malcolm's Road Beach), Life’s a Beach (shot in 2002 at Grace Bay), and the 2014 Turks and Caicos (shot largely at Amanyara Resort and Blue Hills on Providenciales). Strangely enough, famous actor Christopher Walken starred in two of the films. One of the finest still-surviving artefacts of the Taino aborigine people, an almost complete canoe paddle, was discovered when it became lodged in a boat propeller. Surveyor and mapmaker Bob Gascoine of Wavey Line Publishing (the person largely responsible for the excellent Turks and Caicos navigation charts used by many boaters) found the centuries-old paddle (possibly older than 1000 years) while operating a boat in North Creek in 1996, and recognized the item’s tremendous historical value. In unrelated events, two 1800s U.S. Navy ships sank on the reefs at Northwest Point on Providenciales. One of these vessels, the 1816 USS Chippewa carried an unusual 32 gun carronade (a smoothbore gun that combined properties of both a mortar and cannon) armament. The second, the 1843 USS Onkahye was based off a unique racing yacht design.